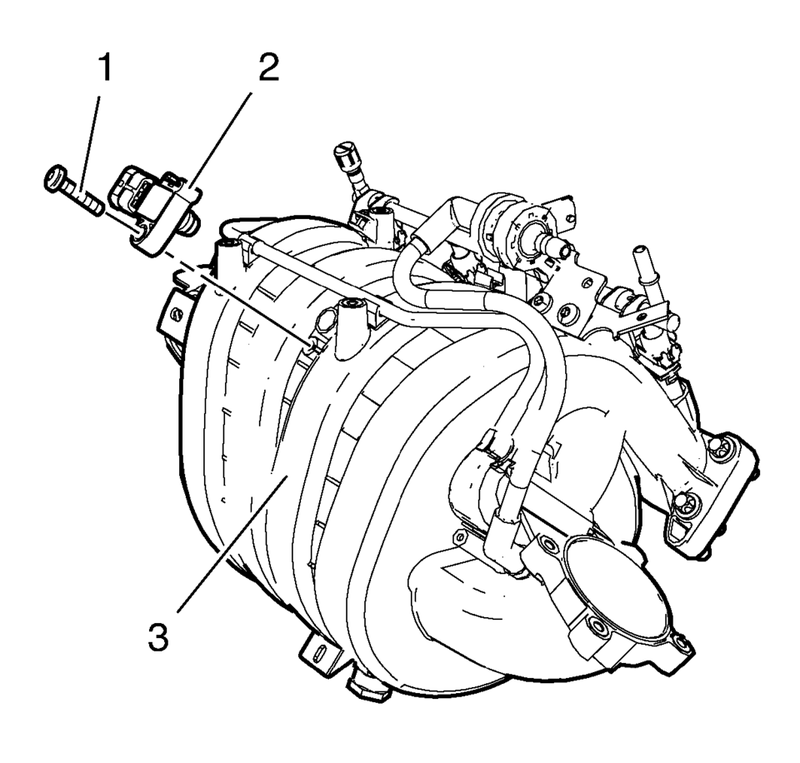 Remove the intake manifold absolute pressure sensor bolt (1). 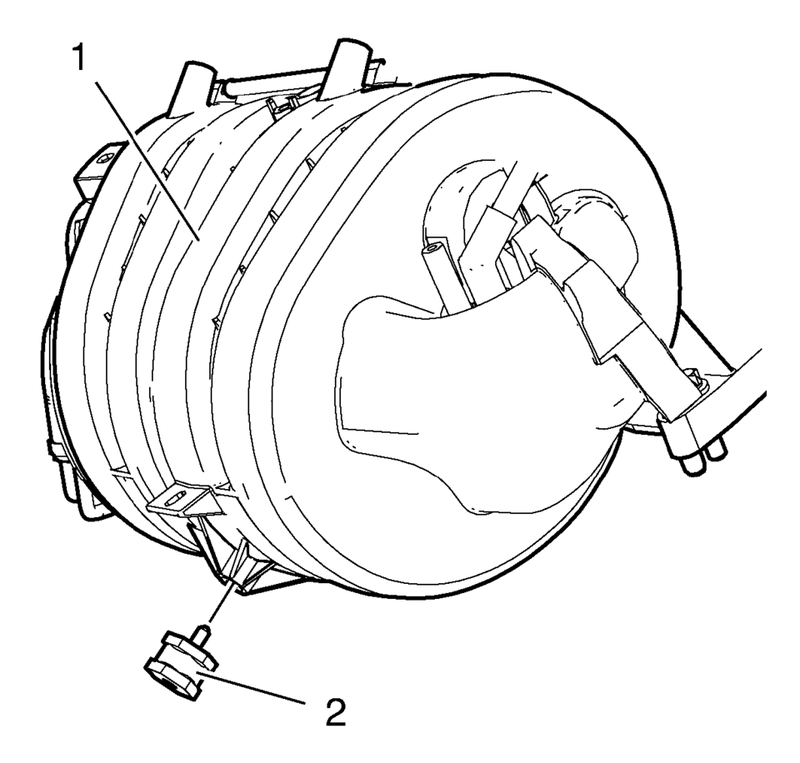 Remove the manifold absolute pressure sensor (2) from the intake manifold (3). 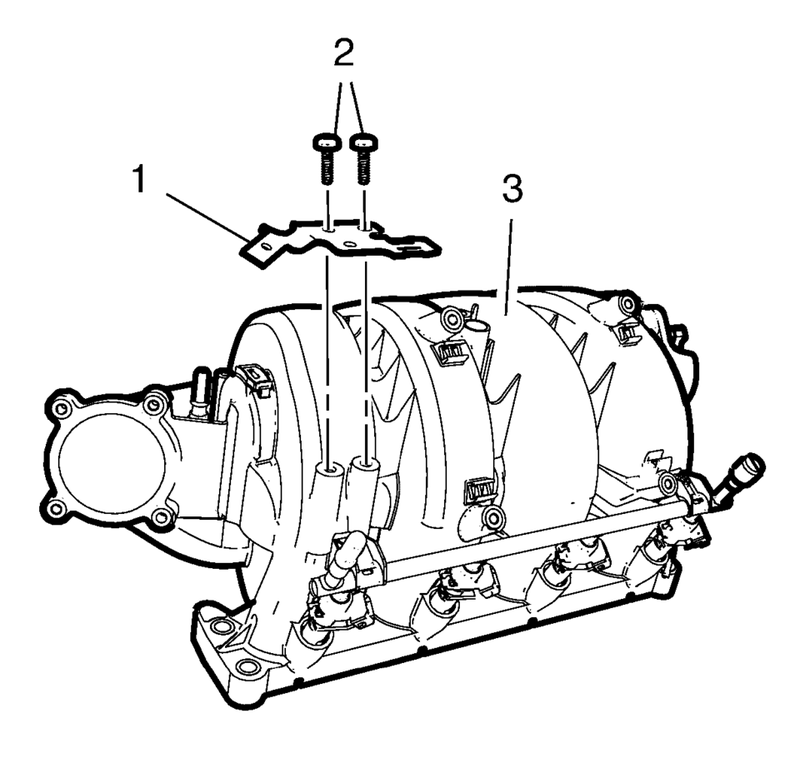 Remove the evaporative emission canister purge solenoid valve bracket (1) from the intake manifold (3). Remove the 2 multiport fuel injection fuel rail bolts (1). 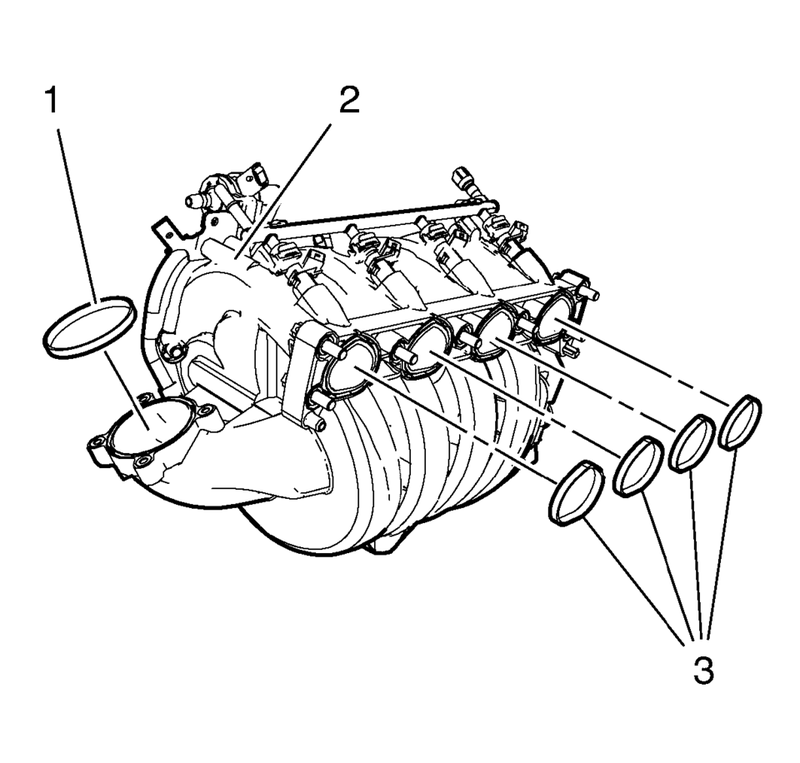 Remove the multiport fuel injection fuel rail (2) and the fuel injectors (3) from the intake manifold (5). 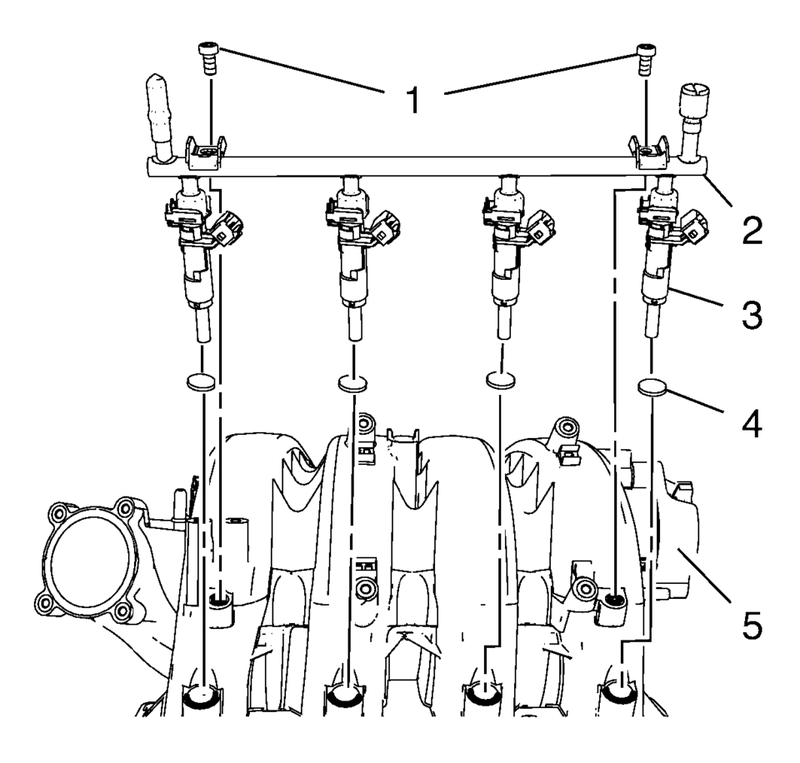 Remove the 4 multiport fuel injector seals (4).